Staying with Jupiter the following evening didn't offer so much in the way of good seeing. However three of its moons were nicely placed so I went for a wider view. 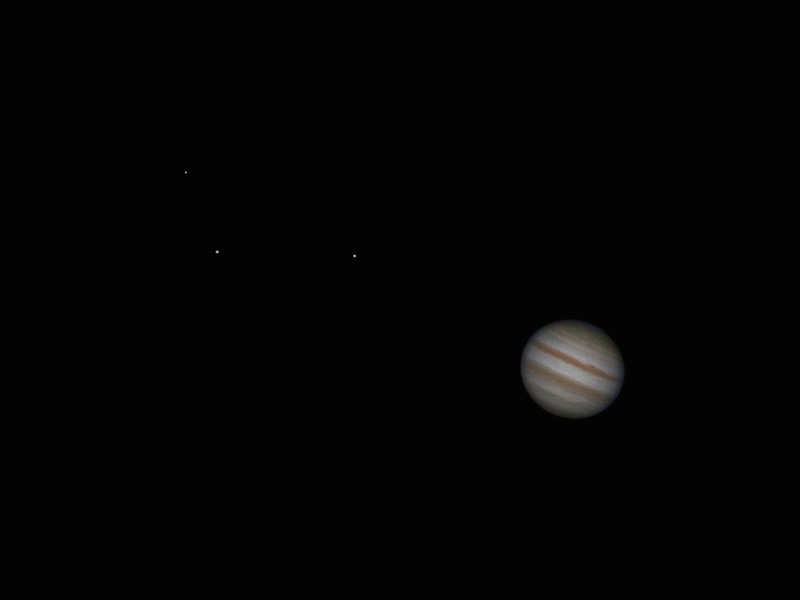 Left to right the moons are Europa, Ganymede & Io. The Red Spot was hiding around the back at this time. Details: 10"Newtonian F4.3, Canon 550D with EOS Camera Movie Record using 2x Barlow together with a 2x teleconverter processed in Registax, FIV & XAT.